I always thought Quran was a poetic masterpiece, whereas Quran itself seems to say that it is no poetry. What I gathered from it is that we should not associate poetic qualities to Quran and Quran is above that, and this was an answer to the non-Muslims who used to call Prophet (sws) a poet. However, should I consider Quranic literary style as a poetic masterpiece, and would it be ok to call it ‘poetry’? My understanding is that Quran incorporates in its text a style that is similar to poetry, but unlike poetry, it is not based on exaggerated statements that have to do with imaginations of the poet. A poet is tempted to go for untrue and exaggerated claims because he has to bring rhyming words in his verses and also to stir emotions of the readers. Quranic verses rhyme as well, but they are free of the limitation of poetry, because has no limitation for expressing ideas, and He his in no need to unnecessarily stir emotions of people. It is because of the rhyming nature of Quranic text that it is amenable to memorizing much more easily than prose. It is therefore not correct to call the Quran a masterpiece of poetry. It is God’s word, which has adopted a style that is close to poetry in appearance, although it doesn’t have the weaknesses of poetry. 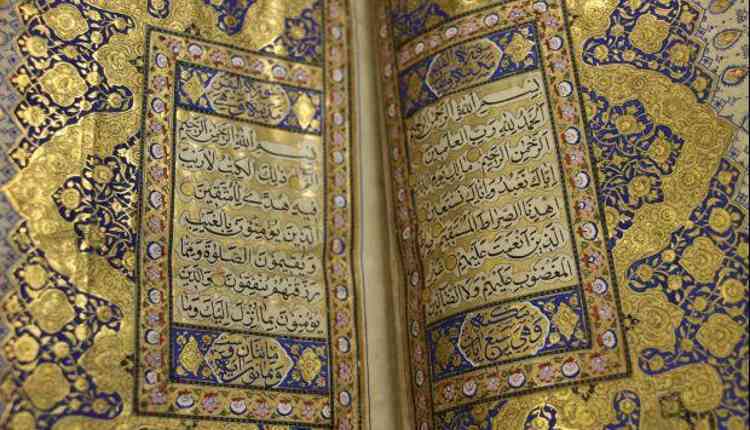 According to some experts the Quranic text is closer to the style of orators who address a large audience, and in the process they address different segments of it, interchanging the focus of address very now and then.